To state the obvious, we write a lot of Zara stories here at Who What Wear. We could say we're just giving our readers what they want, but our editors genuinely love shopping at the retailer too—some more than others (cough, cough, Lauren.) When I thought about what Zara angles we haven't tackled yet, the idea hit me: Why not take our Zara content international? 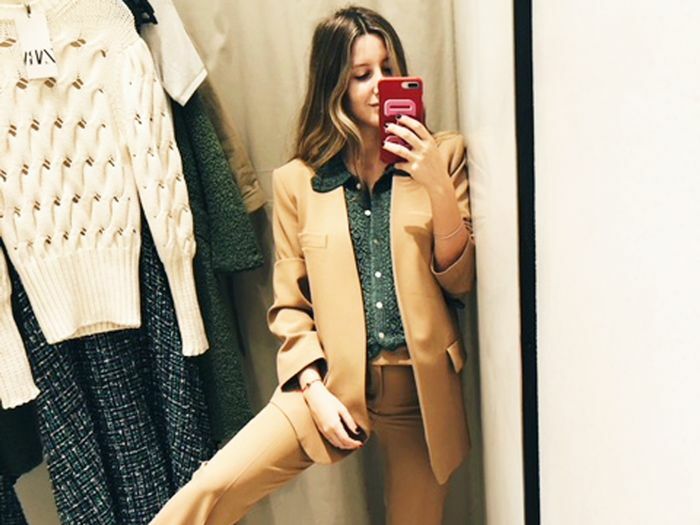 I decided to tap Sofía Paramio Delgado, an incredibly stylish Spanish fashion editor, to see what she'd buy from the world's largest Zara store. The sprawling 65,000-square-foot store is located in Paramio Delgado's hometown of Madrid, Spain, and boasts an impressive selection of clothes, shoes, bags, and more. While the options could be overwhelming, I trusted that Paramio Delgado would pick out the chicest items everyone would want to buy ASAP—and I definitely wasn't wrong. (PS: How cute is the mom-to-be's baby bump?) Scroll down to see how she styled the items and shop her picks. 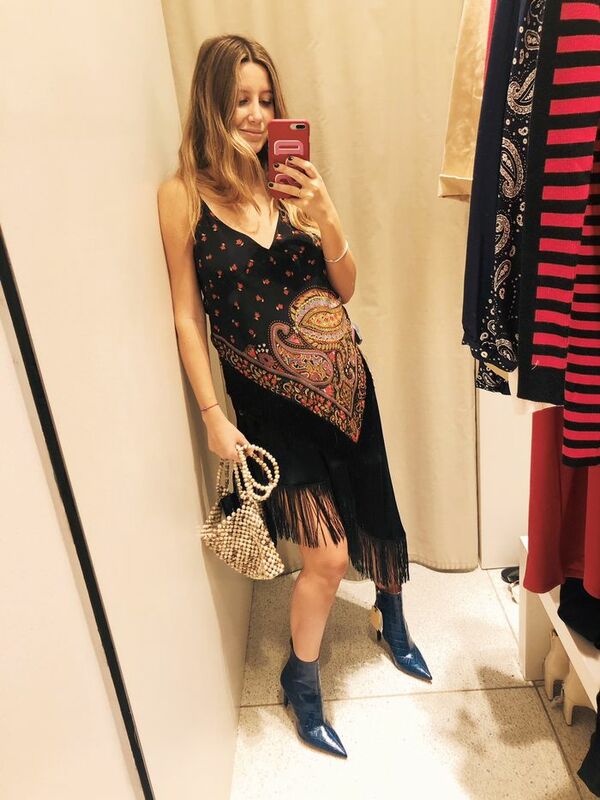 Paramio Delgado zeroed in on the best accessories at Zara right now: snakeskin-printed boots and a beaded bag. Every working woman needs a power suit. This camel color is a timeless option, but the wide-leg pants give it an on-trend spin. Paramio Delgado found the perfect layered look (whether you're expecting or not). The deep V-neck on this tweed dress calls for a cute sweater to be worn underneath, and she smartly added a pop of color via fun yellow heels. The arrival of spring means it's time to swap your black boots for a pair of fresh white ones, and our girl found the perfect version. Who could pass up this cute striped matching set? Tonal dressing couldn't be more on-trend right now. Paramio Delgado chose varying shades of white for this super cute spring outfit. Next, we tried on the most controversial things at Zara.